Christian Lee Hutson stretches his songwriting muscle on Yeah Okay, I Know, but gets bogged down by a dreary overall delivery. 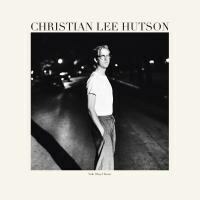 With a steady croon across a buoyant melody, Christian Lee Hutson welcomes listeners to his sophomore album with a pleasantly low-key invitation in the form of “One, Two, Three”. Its a considerably greater down-home picture than the acoustic, Americana-flavored inflections paint it offbeat, lo-fi blues of 2013’s The Hell With It opener “Texico”, but easier listening doesn’t pave way for a worse-off time. A quiet confidence exudes from Hutson’s grit-tinged vocal as he handles the miniature journey crafted by the rollicking folk-influenced opener like never before – a telltale sign that, in the two years since his debut album, he has become more relaxed in his skin as an artist. It's his best song so far by a miles-long stretch, and a defining moment on the album. That said, as with his previous effort, Hutson doesn’t merely decide to stay in a singular soundscape without his fair share of musical meandering. “One, Two, Three” follow-up “Playing Dead” plays with a lo-fi rock inflections, whereas “That’ll Do” takes the classic Bright Eyes technique of finding something worthy of a tune in melodramatic imperfection and runs with it, though with a dependably balanced delivery more akin to the key of Elliott Smith. Hutson goes on to further his musical portfolio with the wah-wah friendly doo-wop progressions of “I Do Mean Well” with a jagged trill, and the old soul-meets-haunting electronica melodies and instrumentation of “Dirty Little Cheat”. One would think that, for one as musically inclined as Christian Lee Hutson, a great album would just about come easy. However, even with all of the aforementioned above being said, even with Hutson’s abilities as a songwriter reaching greater experimental heights, and even as he gains more stock in himself as an overall performer, there is still something distinctive missing from his general presentation. Regardless of the impressive stylistic design of the track, Hutson proves himself to be more of an engineer than a singer. Though there is emotion to be had, the overall delivery of his lyrics oftentimes comes off as one-track and trite, making it hard to uncover them from beneath the blanket of clever arrangements and slick production. It may have been the intention to make them second-rate on tracks like “Castle in the Air” or “Ghost To Coast”, both of which feature wildly unique instrumentation but ultimately fail to transition beyond the overarching Americana infrastructure of Yeah Okay, I Know enough to warrant not invoking a feeling beyond sardonic into his work. With that said, however, small tinges of genuine yearning and actual dynamism are to be cherry-picked from the album, and in it come its greatest moments. He strikes a chord midway through “Ghost To Coast” for an iota of a moment, and “No Apologies, Please” and "Late November", despite their equally sleepy pace, are truly affecting. As it stands, it seems like Hutson is at a crossroads between Yeah Okay, I Know and however many dues are paid in between it and the next album. Yeah Okay, I Know is a work brimming with promise for the young singer-songwriter, and for what it’s worth, is a definite step-up from his previous effort in To Hell With It. With that said, there is still some way to go before he hits that intangible line that defines an artist who has totally filled their shoes. All in all, the album has shown remarkable growth for Hutson, especially in the line of production and crafting his own muted instrumental atmosphere. Right now, however, he’s in this bizarre space between Dave Van Ronk and Radiohead while lacking the pertinent substance of either. Going beyond semi-brilliant experimentation, letting go of any studious tendencies, and letting loose will be key for Hutson to really hit his stride as a troubadour. As it stands, he’s all of the right parts without the sum.